Royal Gulf, part of the Dubai-based Select Group, has acquired the Radisson Blu Hotel Birmingham as part of its continuing growth plans. The 211-room hotel is in a city centre location close to business destinations and features ten meeting rooms of various sizes. It has one restaurant and two different bars. The hotel is managed by Carlson Rezidor Hotel Group and will continue to be so under the new management. 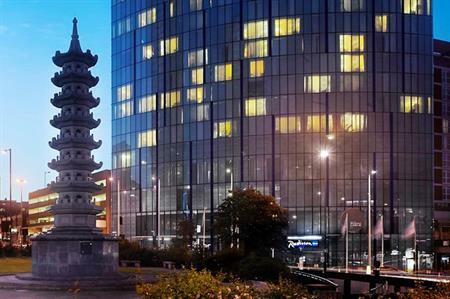 "The decision to acquire Radisson Blu Hotel Birmingham was based on compelling financial rationale, an early mover advantage into a major city and its ability to cater for a broad range of guest needs including leisure and business travelers," said Colin Wright, chief investment officer for Select Group. Last year, Select Group took over and completed construction of ‘Nottingham One’ - a failed, £50 million mixed-use development that had fallen into administration. On the back of the project's rescue, the group went on to win the East Midlands Developer of the Year award in 2014.